Everybody has that one character on TV they LITERALLY want to be. 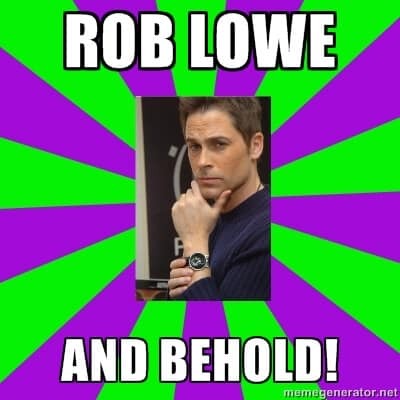 Mine is Chris Traeger (played by Rob Lowe) from Parks and Recreation. Outside of the debilitating loneliness and personality issues, Chris is the kind of guy I’d LITERALLY love to be: the world is a wonder to him, and he sees the upside in LITERALLY every situation. Fitness is a lifestyle. It’s a choice we make, not a diet we go on. Which is quite a commitment especially if we’re going for being Chris Traeger and LITERALLY get to live to be 150 years old. If you haven’t watched Parks and Rec, this clip should LITERALLY make you want to watch it all.